Max Gimenis is a Brazilian jiu jitsu black belt under Master Júlio César Pereira, being also one of GF Team‘s top representatives in the super heavyweight division of the sport’s international circuit. A product of GFT’s incredible grappling program, Gimenis embodied the famous academy’s curriculum to perfection, by making pressure passing his strongest weapon. A style which he used to win important titles including at the World, Pan American and Brazilian National championships. Max Gimenis was born on April 14, 1993 in Rio de Janeiro – Brazil, growing up in Cascadura, a borough in that same city. Gimenis’ interest in martial arts sparked at the age of 10, when he started learning judo. On that same social club where he trained judo, jiu jitsu was also on offer and it didn’t take long for Max to sign up to that as well. 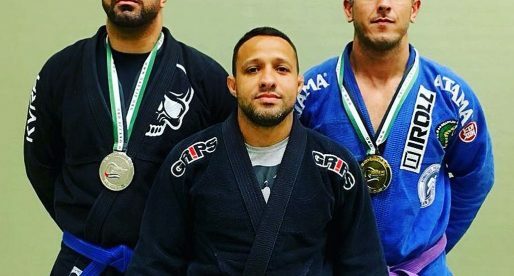 The jiu jitsu classes at the aforementioned social club, were led by Herman Santos, a black belt affiliated with GF Team (then UGF). 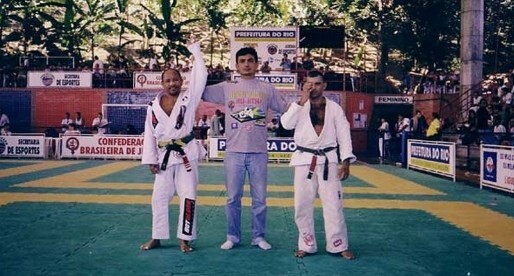 It would be Santos who instilled in Gimenis the desire to pursue a grappling career from very early on. When Gimenis was 14 to 15 years old, his family moved to Guarapari, a coastal town in the state of Espírito Santo (ES). Arriving to ES as a blue belt, Max continued his jiu jitsu training under the tutelage of Thiago Oliveira at the famous Strike academy, home to the legendary female competitor, Fernanda Mazzelli. 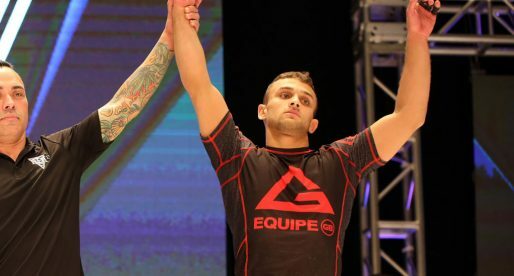 After two years in Guarapari Max Gimenis decided to return to Rio de Janeiro to follow his dream of becoming a professional jiu jitsu competitor. For that effect he re-joined GF Team, finding at the academy’s headquarters his home – literally, as Max lived inside the gym. Guided by Master Júlio César Pereira, Max Giemenis’ career truly blossomed. 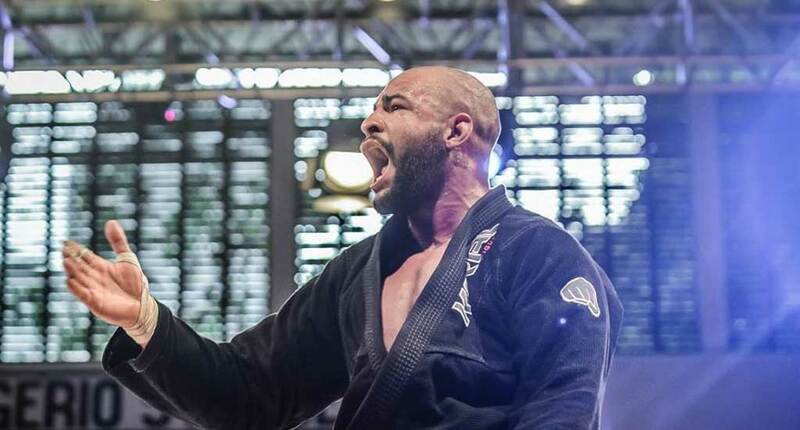 His rampant campaigns earned him many important medals and deserving belt promotions by GFT’s leader, who graded Max with his purple, brown and black belts, the latter while on the podium of the IBJJF World Championship, on June 2, 2016.